Self-service format price computing scales, with 100 direct article keys, label printer and PC connection. 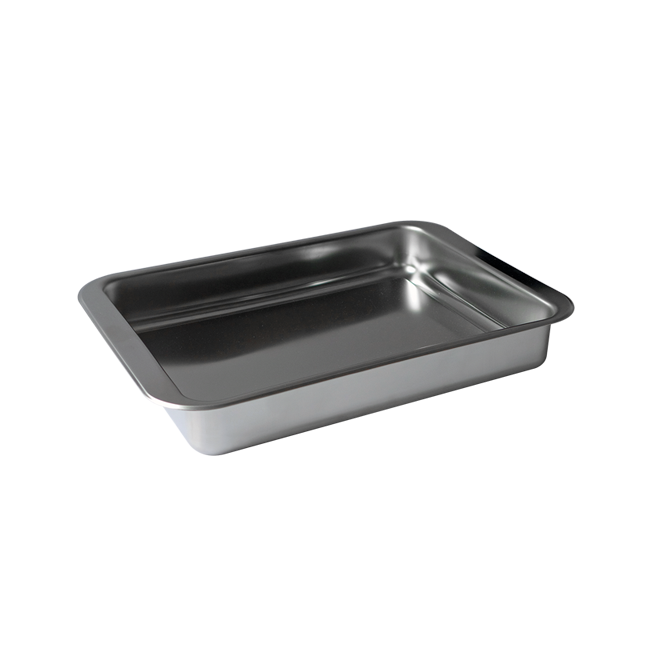 High performance, easy to use and contemporary design scales. Do you want to know more about Self-service scales MISTRAL Series (500 Range)? 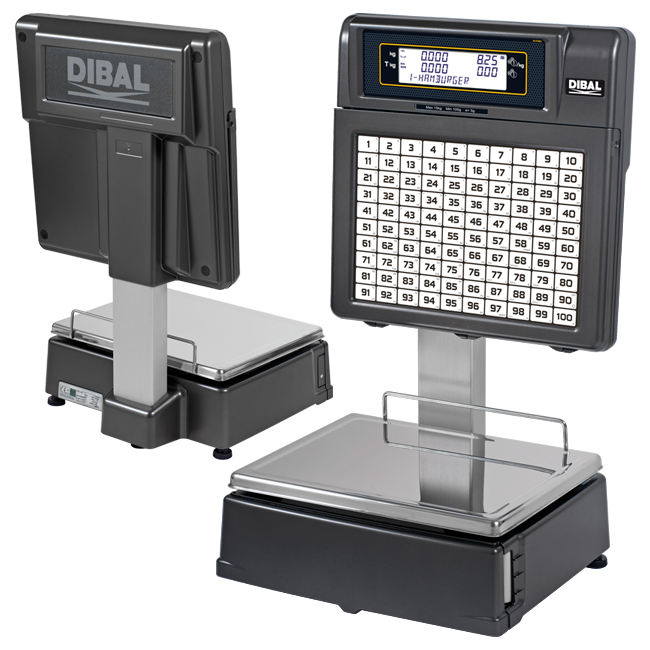 The Dibal Mistral Series self-service scales, with 100 direct article keys, are really easy to use and offer great features due to their memory and their fast and reliable communications among scales, PC and mobile devices. 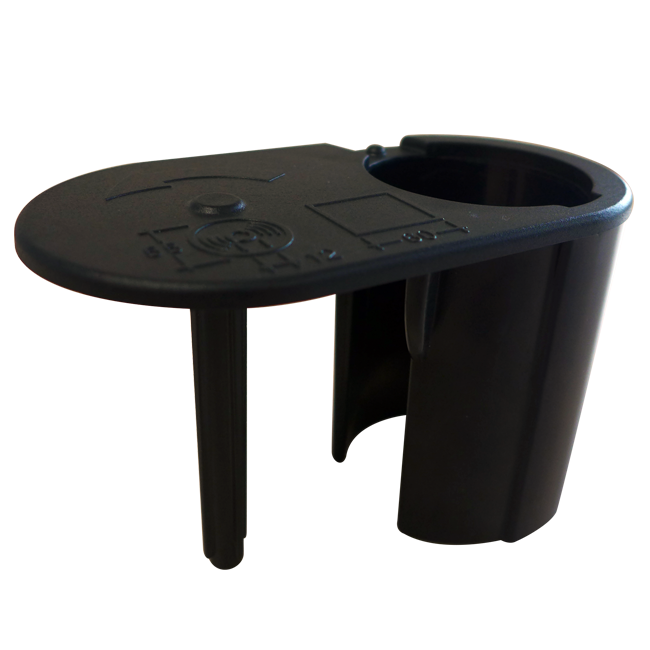 These retail scales are also available with two displays for assisted sales, and are equipped with a label printer. 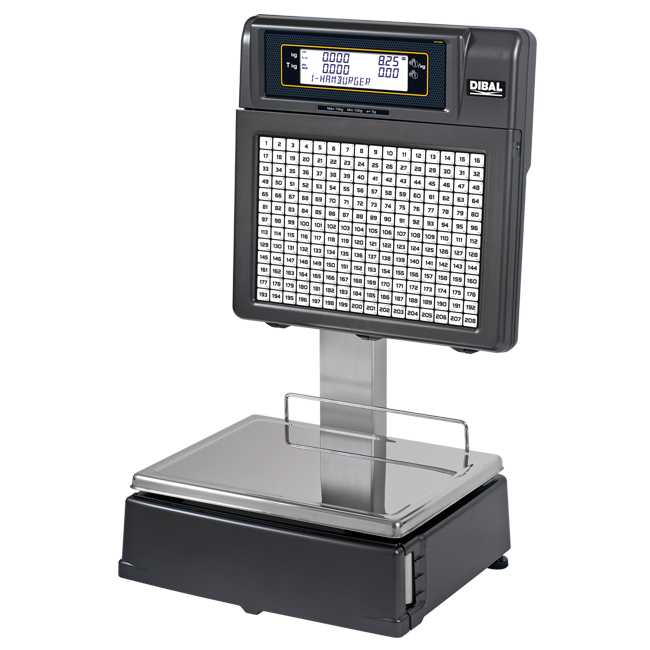 Electronic scale with higher visibility display options. Compliance with EU Regulation 1169/2011 on the provision of food information to consumers. Extensive information for each PLU: normal price, price for weight scales and by kg/100 g, 2 names of 20 characters, 10 free texts of 24 characters, 1 text of 3,000 characters, etc. PLU search by code or name. Preset keys to programming menus: to change prices, register PLUs or vendors, etc. Direct access to 100 PLUs from the keyboard. Sales and management reports: sales (by article, vendor, time frames, last month, etc. ), balance available in the cash drawer, modified PLUs, etc. Fast and reliable communication between scales, with PC and mobile devices (via DWS). Stocks management on the scale. Option to record normal price for each article. Multirange (3,000 divisions): 6 kg / 2 g - 15 kg / 5 g.
Monorange (3,000 divisions): 15 kg / 5 g or 30 kg / 10 g.
Multirange (3,000 divisions): 15 kg / 5 g - 30 kg / 10 g.
Monorange (6,000 divisions): 12 kg / 2 g or 30 kg / 5 g.
Highly resistant ABS plastic casing. Access to all non-metrological components without the need to unseal the scale. Backlit LCD segment display (W150.2 X H43.4 mm). Showing weight, price / kg, total, tare, vendor and name of articles. LCD matrix graphic display (W134 x H41 mm). Possibility of showing: logos, profitability codes, warning messages sent from a PC and advertising messages with animated effects. High resolution (8 dots/mm) and speed (100 mm/sec). Cassette for immediate paper roll change. 15 fonts (6 monospaced + 9 multispaced: more modern and legible). From W30 x L30 mm to W60 x L100 mm. 20 fixed formats + 10 programmable formats. Printing of “n” identical labels. Printing with 90º, 180º and 270º rotation. Automatic adjustment of the paper detection option. Packaging date, expiry date and extra date (for any application). 2 types of generic traceability (for meat, fish, fruits, vegetables, etc.) up to 20 products. Included in the prevailing European legislation on bovine traceability. Minimum letter size: 1.2 mm. Effect (bold, underlined, or both) for each character in the text. Possibility of using the general text “G” (3,000 characters) for ingredients, in lower case or UPPER CASE to highlight allergens. Possibility of including a table of nutritional facts. Free texts (10 x 24 characters). For direct sale labels: possibility of indicating in the PLU name (with an * or other symbol) those that contain allergens and programming a text, such as “* Consult allergens”. Possibility of printing 2 labels for each operation: programmable by PLU, configurable information, 2nd automatic or manual label (also to be used as promotional labels). TCP/IP Ethernet for interconnection and connection to PC. 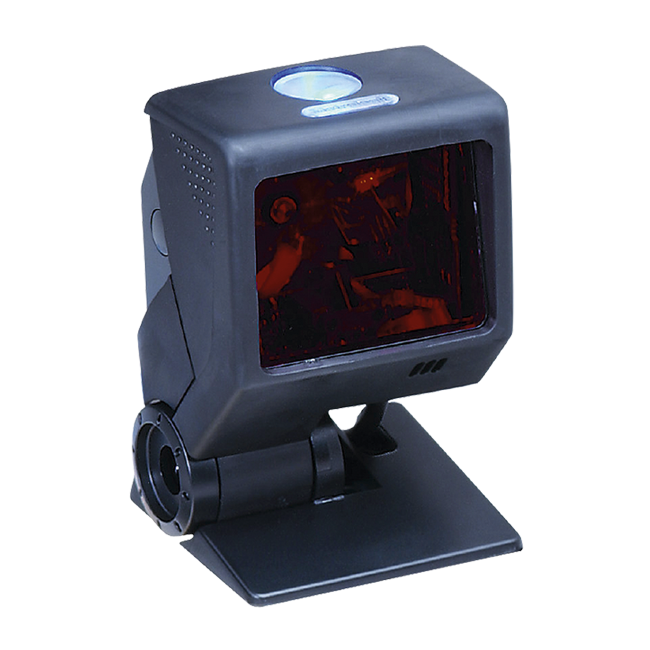 RS-232, for connection to scanner (in M-520 and M-525). Access to different protected programming menus via configurable passwords. Up to 10 scales per section. 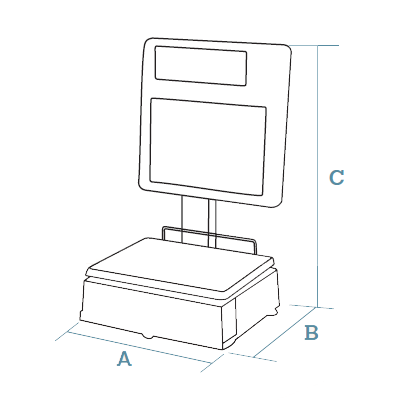 Bar code scanner (powered by the scale – 5 VDC) to read EAN-13 bard codes. Graphic design of receipts and labels. Design and management of advertising images for graphic display. Programming and management of scales. Images (of articles and advertising). Specific functions of Mistral scales. Integration tools: in Windows or Linux to facilitate communication with the Back-Office. 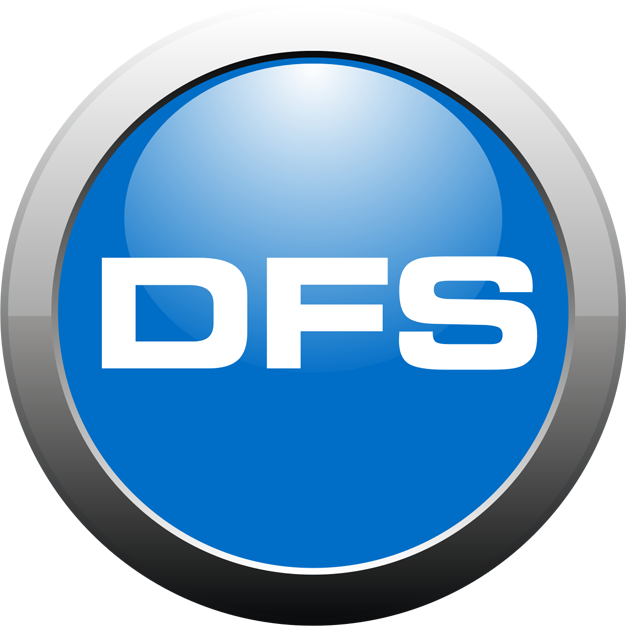 Allows access to the information on each scale (via passwords) from any computer or mobile device with an Internet browser. Mains: 110 up to 230 VDC. Anti-blackout rechargeable internal battery 24 V and connector to external battery 24 V.
M-525 SS - 1 DISP. Back display: (Without back display). Vendors: (Not available for assisted sales). Capacity / Accuracy: 6 kg / 2 g - 15 kg / 5 g.
M-525 SS - 2 DISP. Label on continuous adhesive paper without supporting paper. Anti-blackout internal battery 24 V + external battery connector 24 V.
Scale configuration, receipt of sales data for processing with other IT applications, data backup (LBS), and labels and receipts graphic design. Scale configuration, receipt of sales data for processing with other IT applications and data backup (LBS). Labels and receipts graphic design. Dibal Web Server software for the remote configuration of the scale. Dibal Web Server software for the remote configuration of the scale and processing of the information generated. According to EU weighing directives. (See section on equipment metrological verification). The scale references with this capacity are obtained by replacing the last characters of the reference for the standard scale with the indicated ending. L357 x W235 x H55 mm. L407 x W284 x H60 mm. Includes connection cable to the scale. Required for standard size receipt rolls. 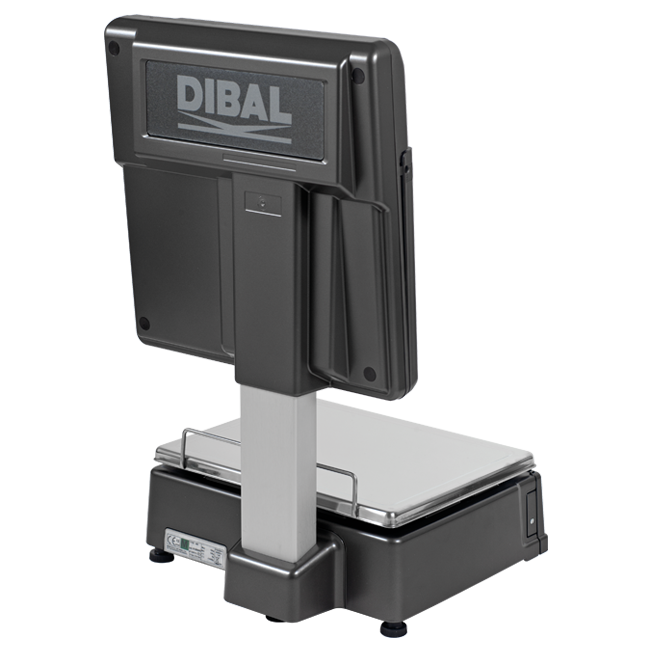 Dibal 500 Range retail scales configuring, design, managing and integration software application. Self-service format price computing scales with up to 208 direct article keys, label printer and PC connection. Easy to use retail electronic scales with excellent features. Self-service format price computing electronic scales, with touch screen, label printer and PC connection. 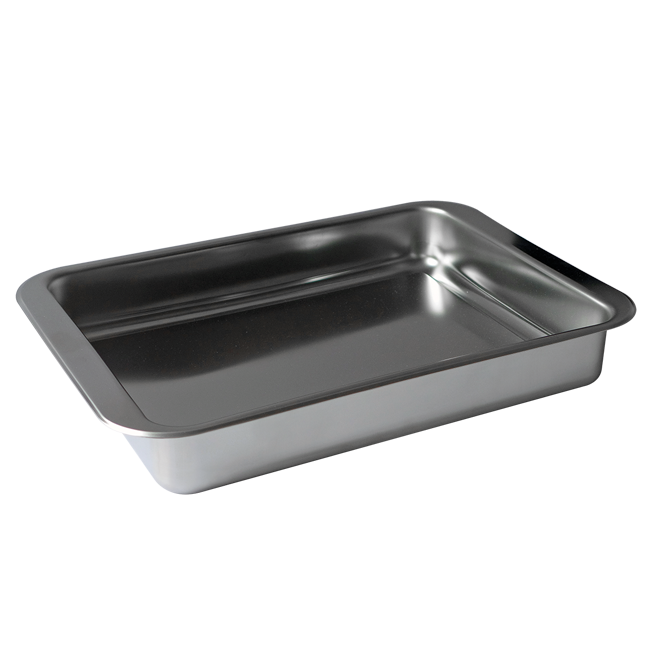 Modern and easy to use retail scales with high performance. 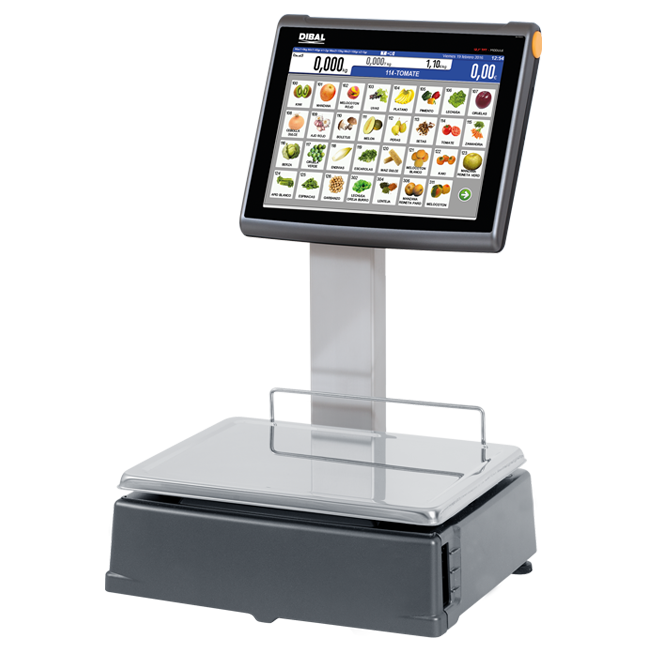 Self-service format PC scales, with 15” touch screen, label printer and PC connection. A complete solution for your business with all the functionalities of a PC and a very intuitive use.